Traditions on the island of O‘ahu provide the names of a dynasty of ruling chiefs beginning with Māʻilikūkahi, honored as the first great king of O‘ahu. Māʻilikūkahi holds a prominent place in O‘ahu legends for his wise, firm, judicious government. He was born ali‘i kapu at the birthing stones of Kūkaniloko; Kūkaniloko was one of two places in Hawai‘i specifically designated for the birth of high ranking children; the other site was Holoholokū at Wailua on Kauaʻi. Māʻilikūkahi, who ruled in the 1400-1500s (at about the same time Christopher Columbus 'discovered' America,) was raised partly in Waialua and is said to have maintained a kulanakauhale (village) there. There is said to have been a mythical heiau (temple) called Kapukapuākea built by the menehune. Māʻilikūkahi was taken to Kapukapuākea (heiau) at Pa‘la‘akai in Waialua to be consecrated and installed as aliʻi there. Soon after becoming aliʻi, Māʻilikūkahi moved to Waikīkī. The stories tell us that he was probably one of the first chiefs to live there. Up until this time the chiefs had typically lived at Waialua and ‘Ewa. From that point on, with few exceptions, Waikīkī remained the seat of Oʻahu aliʻi, until Kamehameha I moved the seat to Honolulu. Māʻilikūkahi was a religious chief, built several heiau, held the priests in honor and stopped human sacrifices. The island of Oʻahu is said to have become very populous during his reign, and thrift and prosperity abounded. Land was considered the property of the aliʻi which he held in trust for the gods. The title of aliʻi ensured rights and responsibilities pertaining to the land, but did not confer absolute ownership. Fornander writes, "He caused the island to be thoroughly surveyed, and boundaries between differing divisions and lands be definitely and permanently marked out, thus obviating future disputes between neighboring chiefs and landholders." 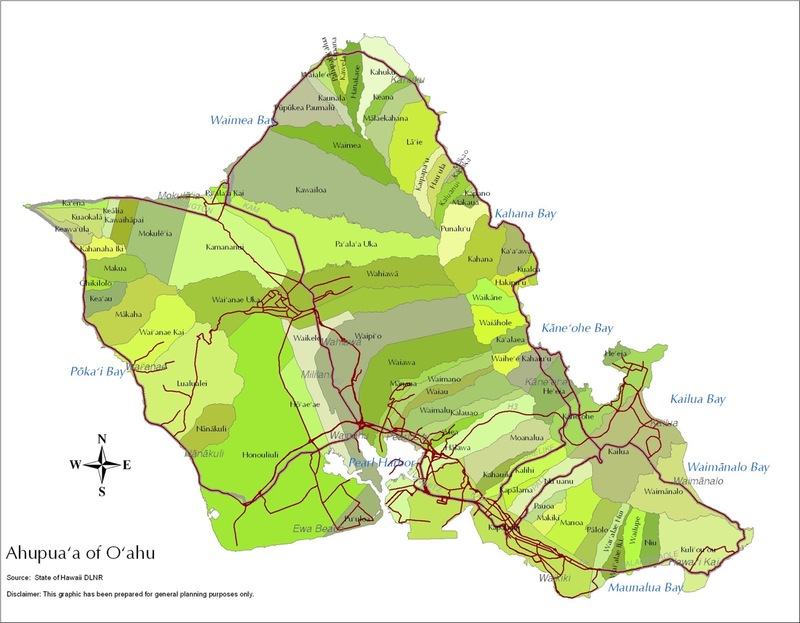 “Therefore, Māʻilikūkahi ordered the chiefs, aliʻi, the lesser chiefs, kaukau aliʻi, the warrior chiefs, puʻali aliʻi, and the overseers (luna) to divide all of Oʻahu into moku, ahupuaʻa, ʻili kupono, ʻili ʻaina, and moʻo ʻaina." 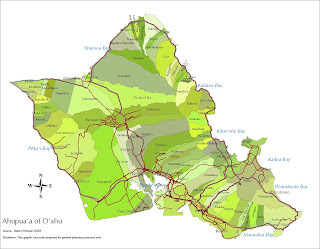 What is commonly referred to as the "ahupuaʻa system" is a result of the firm establishment of palena (boundaries.) This system of land divisions and boundaries enabled a konohiki (land/resource manager) to know the limits and productivity of the resources that they managed - and increase its productivity. Māʻilikūkahi's peaceful reign was interrupted by an invasion by chiefs from Waipi‘o. It was not considered as a war between the two islands, but rather as a raid by some restless and turbulent chiefs from the Islands of Hawaiʻi. The invading force landed at first at Waikīkī, but, for reasons not stated in the legend, altered their mind and proceeded up the Ewa lagoon and marched inland. Māʻilikūkahi's wife was Kanepukaa. They had two sons, Kalonanui and Kalona-iki, the latter succeeding his father as Aliʻi Aimoku of Oʻahu. In the past, MAʻO Organic Farms created and facilitated ‘Āina Ho‘ōla o Māʻilikūkahi, the annual statewide Hands Turned to the Soil conference. The word ho‘ōla means to restore/give life. The conference’s name therefore reflects an understanding that our ‘āina must itself be healthy in order to feed us and that ‘aina, kanaka and kaiaulu (land, people and community) work in concert to provide and maintain sustenance for all living things.